In spite of excellent home care and general dentistry, the occasional cavity may occur. At Aesthetic & Implant Dentistry of Atlanta, we regularly perform routine restorations and treat areas of decay as conservatively as possible. Utilizing new bonding technology, silver mercury fillings are now unnecessary. It is no longer required that you have a silver or black “badge,” announcing to the world that you have had cavities. Composite or tooth-colored fillings look much more natural than the traditional amalgam fillings. We pay meticulous attention to detail to make sure your composite, bonded filling will be long-lasting, mercury-free and virtually undetectable in your mouth. Advancements in dental technology and materials have made it possible to replace silver amalgam fillings with composite resin material. These new materials are longer lasting and more durable than those used in the past. They can now withstand the pressure exerted on the chewing surfaces of back teeth. This new development in dental material means your widest smile will look natural and bright all the way to your back teeth. People allergic to metals appreciate the fact that tooth-colored fillings not only look good, but they are also non-irritating. They do not react with certain foods or beverages and feel like your natural teeth. Tooth-colored fillings, or composite resins, are a mixture of glass or ceramic and plastic. There are several types of these resins that are used in filling cavities. Many require a special blue light that is used between layers to harden the material. Composites adhere well to the natural tooth structure and make a much better seal than amalgam fillings. Composite resins have been used for decades in anterior teeth. With the advancements in new technology, they can now be used to fill all types of cavities. This is regardless of whether the tooth is in the front or back of the mouth. 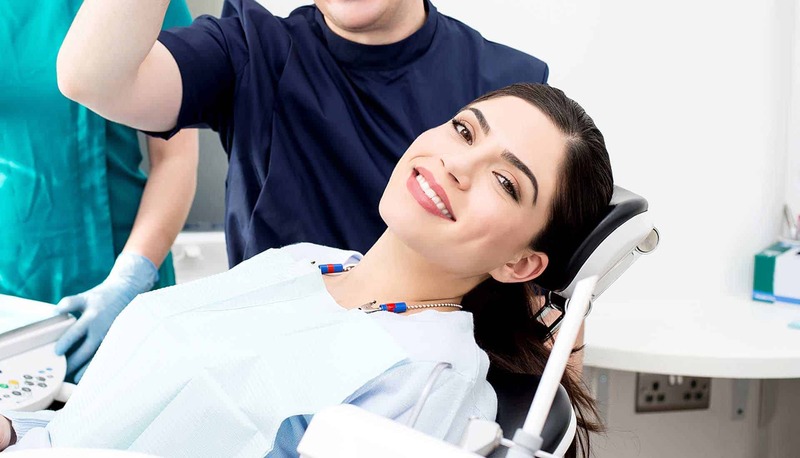 If you have cavities that need to be filled or silver fillings that you would like replaced with composite fillings, contact Aesthetic & Implant Dentistry of Atlanta today to schedule an appointment. We will have your smile looking beautiful and natural from front to back.